A heady perfume of blood and rage across the stars featuring Philippe Druillet's legendary Lone Sloane. In the third century BC, mercenaries employed by Carthage during the first Punic War rose against their employers, who repeatedly postponed their pay. Two barbarian clan chiefs, Matho and Narr'Havas, fell in love with the beautiful and ethereal Salammbo, daughter of Hamilcar of Carthage. A bloody conflict arose. 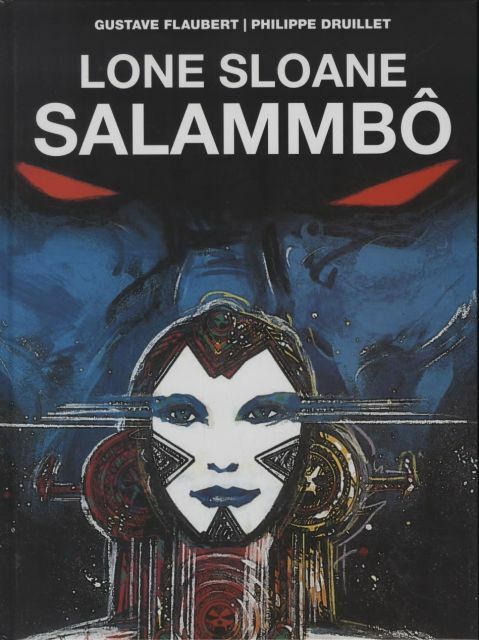 Based on the 19th century novel by Flaubert, Salammbo was reappropriated and recontextualised by Druillet in this masterwork. Transposing the ancient Punic Wars into his space fantasy universe, and splicing the identity of the novel's Mathô with his favorite character, Lone Sloane, Druillet works his intoxicatingly psychedelic magic on a literary classic, reinvigorating it from the inside out with his own transcendent storytelling.